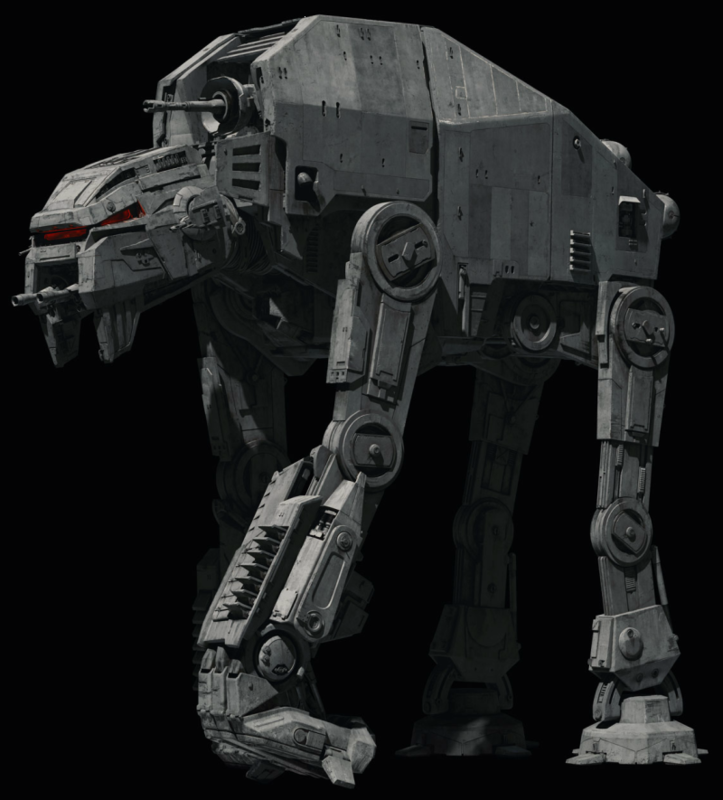 The AT-M6 has a more Guerilla shape to its design, especially with the gait of its walk. The previous AT-AT had the flaw of falling forward when simple speeders used magnetic harpoons and towing cables to wrap around their legs and restrict movement. Because the AT-AT had built up forward momentum and was very top-heavy, it would not be able to stop itself from falling forward on the ground once the cable finished wrapping around the legs. The AT-M6's legs and general shape fixes this issue. Its forward legs are much more stable and can prevent the AT-M6 from falling forward when such a tactic is used. For an AT-AT, a Walker Operations roll of Very Difficult or Heroic may have been needed to stop the AT-AT from falling forward. For the AT-M6, a Walker Operations roll of East will prevent this. The Guerilla legs are so advanced and stable compared to the AT-AT that they not only move forward and back, but can also spread from side to side to take a more stable stance, very handy when taking position to fire the MegaCaliber Turbolaser Cannon on its back. The AT-M6, designed to be more resilient to old tactics of using cables to trip walkers, aside from the change in leg design (noted above), it also has blades on the legs to cut these cables if and when they are used. While the leg design prevents the AT-M6 from tripping if cables are wrapped around its legs while in motion, the blades on the legs allow the walker to cut and tear the cables when flexing its legs (Str+1D, or in this case 'Body'+1D, same as a knife in character scale). Skilled walker pilots could use these features to their advantage to allow the AT-M6 to attempt to tear through cables while in motion, and potentially never break stride (this may require a Walker Operations skill check, Very Difficult, however this difficulty is reduced by 2 levels due to the AT-M6's stable leg design [Moderate], and the leg blades allow the walker to deal a total of 9D damage against cables and other tools used to hamper or trip its legs. Except for the unique weapons the AT-M6 possess, it's a straight upsizing of the AT-AT. Speed is left the same as a few AT-ATs are seen walking alongside the AT-M6s during The Last Jedi. The MegaCaliber Six Turbolaser Cannon sounded like a capital scale ship weapon, and the AT-M6 also lists "Anti-Ship" Laser Cannons. So I thought to make the AT-M6 a well rounded anti-ANYTHING weapons platform. The MegaCaliber Six is capital scale, though weak compared to other turbolasers, so it can be mounted on a walker and carried and used on the ground of a planet. 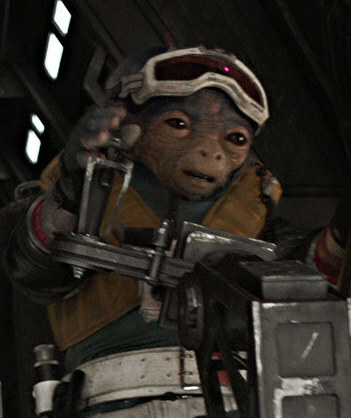 The Anti-Ship Laser Cannons are made starfighter scale to counter enemy air support starfighetrs and space transports. And the Heavy Dual Laser Cannons are done up as an upsized version of the AT-AT's similar weapons from before, with more damage dice. 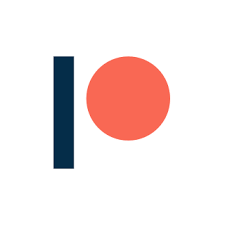 This weapon is capitral scale. This means a unit of AT-M6s could band together and attack orbiting capital ships, if used with the right tactics. This weapon lists a Fire rate of 1. As the AT-M6 is very large, about twice the size of an AT-AT, but with much less Passenger numbers, most of its internal space is taken up by the equipment needed to power the weapon. However, if GMs/players think this is too powerful, they can reduce the scale to starfighter (Damage 8D) or walker (Damage 10D). Also, the Fire Rate could be reduced to 1/2 or 1/3. Anotehr option is that the weapons could have variable power settings. The most powerful setting could be 2D capital scale (10D walker scale), Fire Rate 1/3, and the lowest setting could be something like 8D walker scale, Fire rate 3, and becomes a powerful support weapon for the walker's assault on a fortified position. These are listed as options in the Game Design Notes section instead of Game Notes so the AT-M6 can be used as is on the go if GMa/players don't want to worry about the details (but having options are nice, yeah?). As the AT-M6 is desscribed more as a mobile weapons platform and not mentioned as a troop transport, that's how I wrote it up. It lists having space for 12 passengers, and these could be troops, but this is nothing compared to the AT-AT's 40 troops it can carry, as well as speeder bikes and other gear and weapons for the troops to use during assaults. Having 12 troops is better than nothing though, and there should still be gear for these to use in assault and defense, but their role may be more as defense as the AT-M6 really does focus on its big guns. 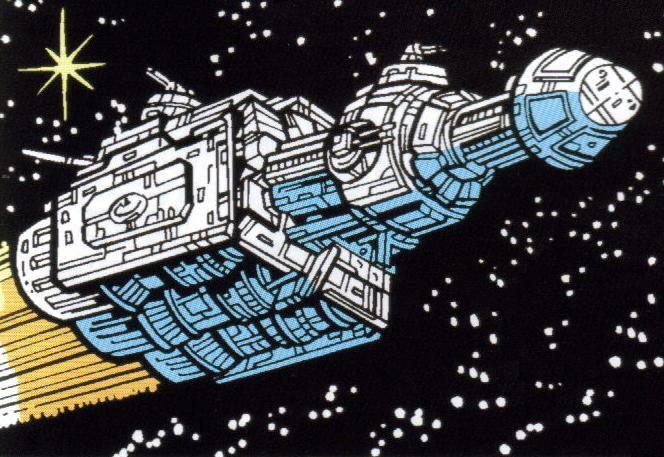 The MegaCaliber Six Turbolaser probably takes up most of the AT-M6's internal room, which also is the main cause for the Passenger number reduction. While I'm here, here's a comment for a quick fix on a missing detail. The AT-M6, designed to be more resilient to old tactics of using cables to trip walkers, aside from the change in leg design (noted in the stats above), it also has blades on the legs to cut these cables if and when they are used. While the leg design prevents the AT-M6 from tripping if cables are wrapped around its legs while in motion, the blades on the legs allow the walker to cut and tear the cables when flexing its legs (Str+1D, or in this case 'Body'+1D, same as a knife in character scale). Skilled walker pilots could use these features to their advantage to allow the AT-M6 to attempt to tear through cables while in motion, and potentially never break stride (this may require a Walker Operations skill check, Very Difficult, however this difficulty is reduced by 2 levels due to the AT-M6's stable leg design [Moderate], and the leg blades allow the walker to deal a total of 9D damage against cables and other tools used to hamper or trip its legs. Am I missing something or isn't it really worth it to have the siege cannon when the AT M6s could have broken down the door in the time the cannon took to set up?